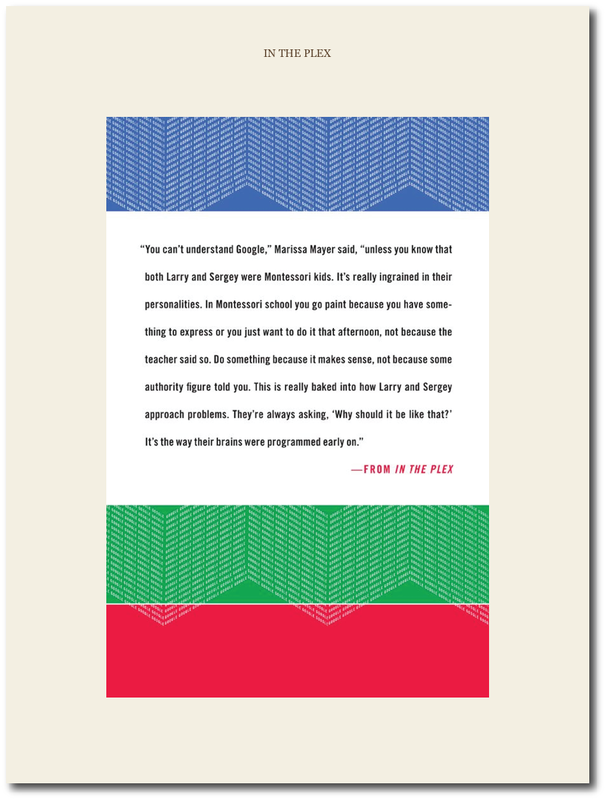 My Kindle Ebook Came with a Dust Jacket—REALLY! Very recently—I can't remember now where I heard this, but it was probably on a podcast—I heard someone complain about the lack of "back covers" on ebooks. That is, this person said he liked to read the various blurbs and content that was found on the back of most books when he pulled one off the shelf in a bookstore. 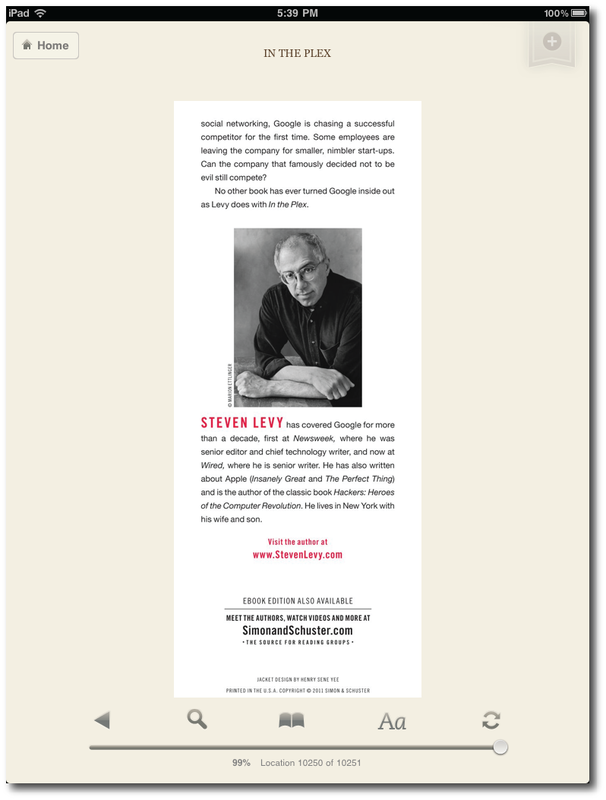 So, last night Kathy and I went to the downtown branch of the Louisville Free Public Library to hear Steven Levy talk about his new book on Google, In the Plex. I'd downloaded the book to our iPads when I noticed something very interesting. 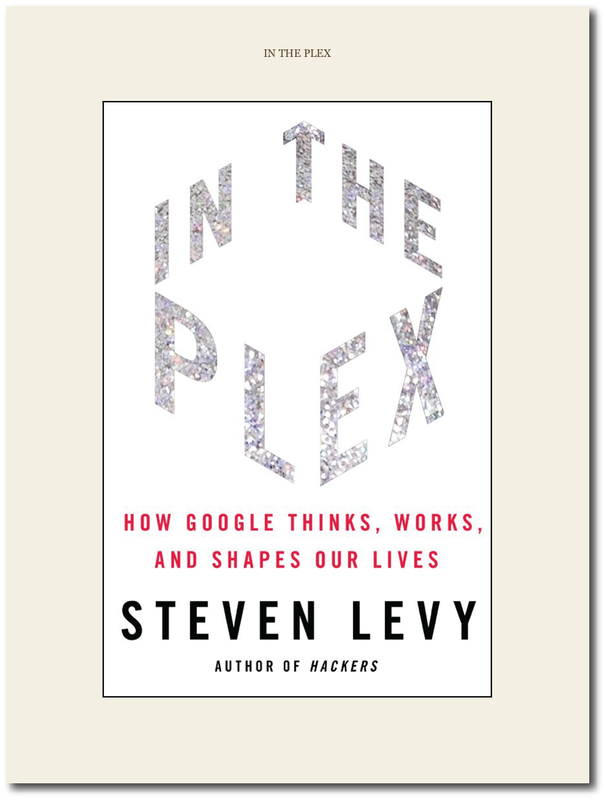 The cover of Steven Levy's book, In the Plex. 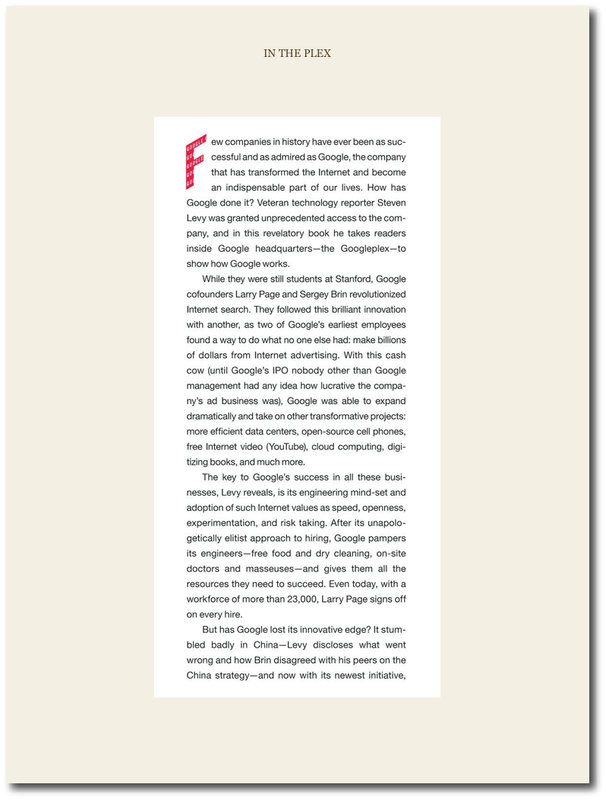 Note the touch of color, something Amazon started adding to Kindle titles after the advent of the iPad. Kindle books by default usually open up to page one, which is sometimes an introduction and sometimes the first chapter. However, my preference is to always begin at a point earlier in the book. I suppose I've been with books too long, but I want to see the cover, the copyright page, the table of contents and only then am I ready to dive into the content of the book. If there were an option to start at the cover, I would have made that my default a long time ago. What is this? As you've probably guessed, this is the front inside flap as normally seen in a dust jacket of a printed copy. Like the cover, this is a graphic image in the Kindle file, so the text seen above is not selectable like normal Kindle titles. Note that as is often the case in a regular printed book, the text at the bottom of the flap is interrupted mid-sentence. So, I swiped the screen of my iPad again, thinking it would take me to the continuation on the back flap. But nope. Like in a print book, I found myself at the copyright page. I have no idea how widespread the practice of adding the dust jacket content into an ebook is, but surely it's a recent development. I admit that I rarely buy "hot-off-the-press" books. Levy's book costs $12.99 for the Kindle edition, but generally I wait until a book hits $9.99 or lower. It will still be there, after all, and will read just the same, regardless of price (publishers should take note of the fact that a lot of us will delay purchase indefinitely if a price is even slightly too high). In the Plex is a Simon & Schuster title, but I don't know if other publishers are following suit or not. Regardless, I think it's a great idea. It will give some detractors slightly less reason to complain about ebooks, and now you can tell your friends that your Kindle book came with a dust jacket!